The Founder's Cup is a single elimination tournament that occurs annually within the MUSL as a tribute to the founder's of the league. The games do not count towards league standings. Teams registered at the start of the spring session and in good standing with the MUSL and the MSA will automatically be included in the Founder's Cup competition. Each division (in some cases divisions may be combined to create a more feasible bracket) will compete within itself to bring home the coveted Founder's Cup trophy. The tournament finals will be held in August of each year. The MUSL puts on an all league picnic complete with food and drinks plus activities for kids so the entire family can come out and experience all that the Founder's Cup has to offer. 2018 will mark the first time that the MUSL has a women's division for the Founder's Cup. Teams from Michigan, Ohio, Indiana, Illinois and Ontario, Canada have been invited to participiate in the newly created Women's Founder's Cup. 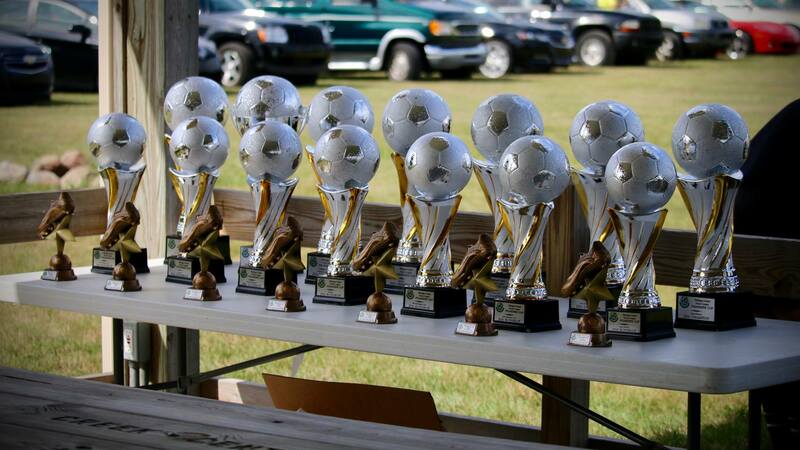 The MUSL is proud to put on such a tournament and we expect it to grow moving forward. Thank You Michigan Bread Company! A special thank you to Spiros Assimacopoulos of Michigan Bread Factory for donating the hotdog and hamburger buns for the Founder's Cup! © Michigan United Soccer League. All rights reserved.